Developing players – we aim to help make our players better through hard work, mental training, and a competitive schedule. Throughout their time at Hotchkiss, our players have the opportunity to workout in our fitness facilities, use our three batting cages, and work towards their goal year round. Improving as a baseball player does not happen overnight and we stress to our players, “process over outcome.” During the season, we spend time going over the mental side of the game. We believe training our players from the neck up will give us an edge over the course of our season. For bearcat baseball players, we focus on doing everything with a purpose. Our approach at the plate, on the mound, and in the field is critical to success. Creating a competitive environment – Our goal each spring is to win. We hope to create a competitive environment in practice every day that translates to success on game day. Competition in practice makes each player better. Our hope is that each bearcat baseball player will enter each day with a sense of purpose and execute each step of the way. Fostering student-athletes who value character and integrity - The boarding school environment is a unique place to be a student-athlete. Hotchkiss does an excellent job of preparing our student-athletes for college. We stress the importance of being contributing community members to our players. Our coaching staff encourages players to get involved with activities outside of baseball. We recognize that many faculty kids look up to our athletes and view them as role models. It is our goal that members of the Hotchkiss community will think of our players as great people, not just strong athletes. Our baseball program at Hotchkiss takes pride in sending student-athletes to the college ranks. We have had a variety of players move on to college baseball. Bearcat baseball players have gone on to various division 1, 2, and 3 colleges, with several making it to the professional level. We are proud of our long standing tradition here at Hotchkiss. Historically, Hotchkiss baseball has produced student-athletes who are successful long after their time in Lakeville. The renovation of historic Hoyt Field was completed in 2015 and created one of the finest playing surfaces in the northeast. There is a batting cage down the LF line and a hitting turtle for pregame batting practice during the spring. The Mars Athletic Center houses several key areas for the development of our players. A new batting cage was installed in the fieldhouse in the winter of 2016. Players can use this cage year round. During the spring, there is an additional indoor cage above Dwyer rink and turf installed in Schmidt Rink. Players may long toss on either of our turf fields year round. Our players can use the fitness center, Olympic swimming pool, and indoor track any time throughout the year to enhance their strength and conditioning. Coach Wosleger recently completed his third season in charge of the varsity baseball program. In each of his three years at the helm, Hotchkiss has improved on the previous season's win total. Under his guidance, Hotchkiss has sent players to Army-West Point, Trinity, and Kenyon. 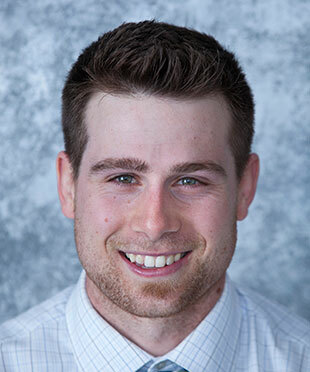 Prior to joining Hotchkiss, boys varsity baseball head coach Tyler Wosleger was a three-year starter on the baseball team at Fairfield University (CT). As a co-captain in 2012, Wosleger hit .301 to help Fairfield to the most wins in school history (at the time). During his time at Fairfield, Wosleger played two summers in the NCAA-sanctioned Northwoods League. He was named Northwoods League Gold Glove Winner at first base in 2011 and a top 50 Position Player in the Northwoods League. Before playing at Fairfield, Wosleger was an All-State selection at East Hampton (CT) High School. He helped the Bellringers to a Shoreline Conference Championship as a senior captain. He was named the Shoreline Conference Player of the Year in 2008 as well as earning All-State, All-Conference, All-Area, CHSCA Senior All-Star, New Haven Register All-State Second Team, and Scholar-Athlete accolades. Wosleger's father, Scott, is currently the head baseball coach at Choate Rosemary Hall.